Summer never feels like a time when things slow down and life is a little less crazy. Our summers are busy, for the kids and for me. When I see these book lists on Pinterest titled things like “10 Best Beach Reads,” I laugh. What mom is able to actually read at the beach (If you are a mom that does get to read at the beach, please don’t tell me, or I might cry)? I’m always busy making sure my kids don’t get pulled out to sea by a rip current. … Or I’m burying kids in the sand! My Little Reader hasn’t done much napping this summer and I only just realized today that no nap means we haven’t been reading our normal pre-nap stories. 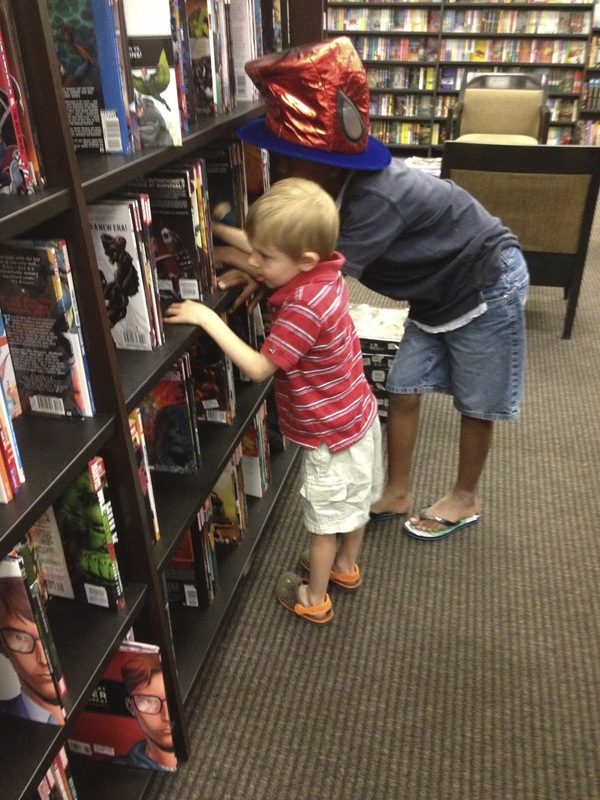 When there are lulls in their days and they get bored, I have seen my kiddos pick up books and read… from time to time. But as we creep toward the start of another school year, and I look toward days containing some kind of routine again, I realize that I need to really be intentional with our reading times. I need to guard our established reading routines, perhaps reinstate some that have been lost, and I hope to work more reading time into our routine wherever I can. We will be homeschooling in the fall, so I’m excited about getting creative with how we find time to read, and simply having the control over our routine to give reading the prioritization that I crave. Our bedroom floors are always covered in books, so we’ve at least got that going for us!